Home of the ClearView veil. Due to the high demand on our production team during this busy time of year, some items may be out of stock or unavailable for immediate dispatch. First class post is also unavailable until further notice. For more information on the dispatch time of your chosen item please call our sales team. For your chance to win Beekeeping Clothing and Accessories worth £300 please tell us what is wrong in the video below. To enter please fill out the contact form below with your answer and contact details. Good luck! 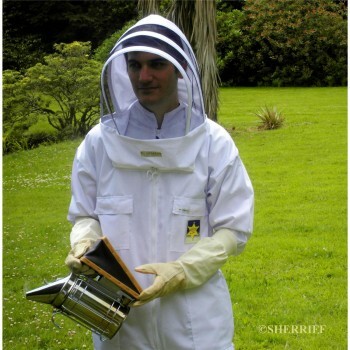 Sherriff is the Original selling brand of fine quality beekeepers clothing incorporating our own design self-supporting bee hood. Our bee clothing evolved whilst working 400 hives on our South Cornwall Honey Farm in the 1960′s. 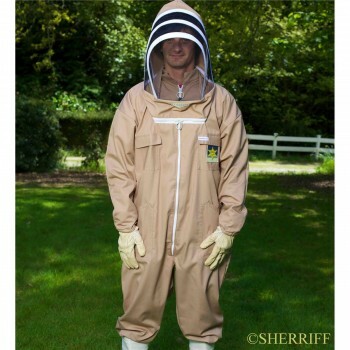 Each quality made item of beekeeping clothing incorporates our 1968 design throw-back hood with unique twin-zip system enabling the beekeeper to pull back hood to rest on shoulders when not in use. 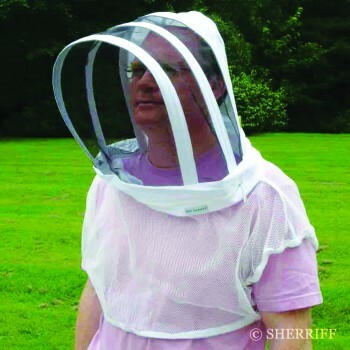 The sole manufacturer to produce the ClearView mesh beekeeper’s veil. Light and airy and extremely comfortable to wear having hundreds of tine holes woven in to keep you cool it offers the best in all round vision. 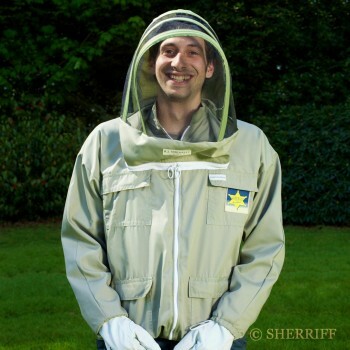 Believing that beekeeping protective clothing should be smart and hygienic and with this principle in mind our bee hood is detachable for easy laundering and attaches to an All-in-One Apiarist beekeeper’s suit, beekeeping jacket, bee smock and Junior bee suit. Bee vest/child’s bee suit do not have detachable bee veils. 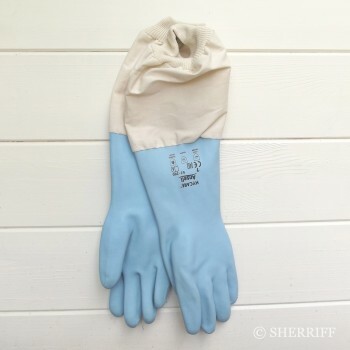 Sherriff’s are the creators of a range of tried and tested fabric colours for use with bees and other flying insects. 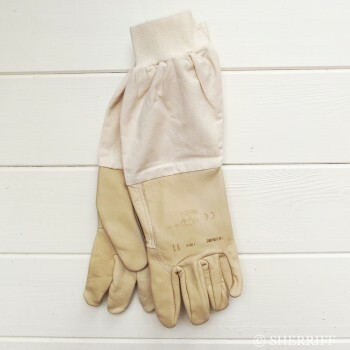 Twin with finest quality bee gloves, gauntlets, beekeeping trousers, wellington boots, ankle protectors. 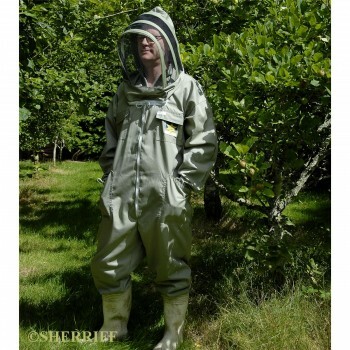 All our beekeeper clothing is responsibly designed, manufactured solely by family owned B J Sherriff in England using ethically sourced materials and components. Tried and true smaller items of bee equipment – hive tools, bee brushes, uncapping knives, and forks, wax pans, sturdy bee smokers, transit nets, queen cages, Beekeeper Starter Kit. Informative beekeeping books, honey bee/bumble bee leaflets, pollen charts. Extensive range of bee gifts including honey soaps, paraben-free honey cosmetics, honey pots, bee design china, bee toys, fine bee jewellery, gift tokens for that special birthday, Anniversary or just when you want to give the bee lover in your life a small token.